By 1841 the Hacienda Los Caños belonged to Francisca Torrin, her agent representative was José Ramón Larrieu. In 1858 in the court case related to the intestate death of Francisca Ruiz de Sagredo and José Ramón Larrieu, the judge ordered the sale in public auction of the 217 cuerdas Hacienda Los Caños. Francisco Ulanga was a Spanish immigrant from Santander who in 1810 arrived in Arecibo at the age of 9 and died there on September 19, 1860. 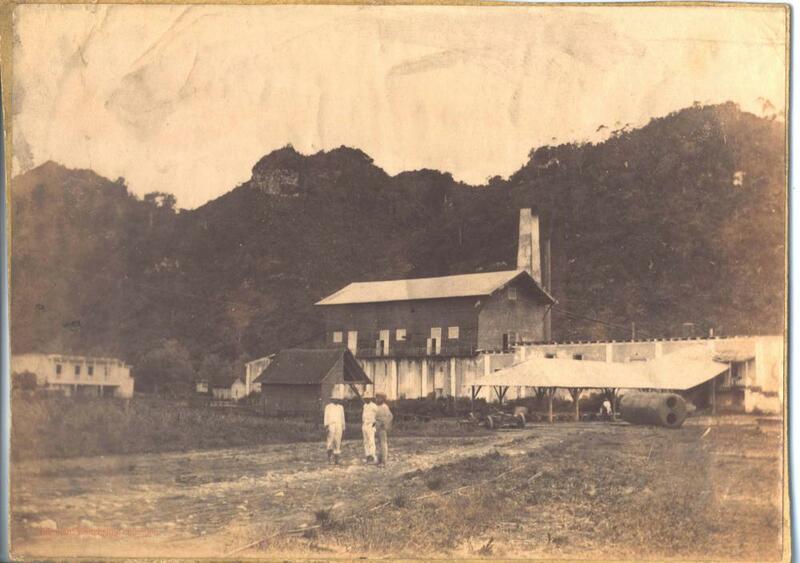 Ulanga, who was married to Santos Figueroa, acquired Hacienda Los Caños in 1858 and operated it under the commercial name of Ulanga & Cia., firm he had in partnership with Juan Ball and Agustin Goicouria. Ulanga & Cia. filed for bankruptcy November 6, 1860 when Felipe Toste was named Trustee followed in 1865 by Federico Storer. In a meeting of creditors held on June 9, 1866, Johan Abraham Edmund Pavensted (12/19/1810-3/18/1891), a German immigrant from Bremen resident of New York, entered into a contract to acquire Haciendas Los Caños and Cambalache from Ulanga & Cia. In September 1866, the court awarded all the assets of Ulanga & Cia. to the firm C. F. Storer & Cia., who agreed to pay creditors 60% of the amount owed. Subsequently, Pavenstedt acquired Haciendas Los Caños and Cambalache from C. F. Storer & Cia. on the terms of the June 9, 1866 agreement. ​La Gaceta de Puerto Rico in its edition of October 8, 1881, published a notice by Julián E. Blanco as representative in the absence of Dr. Julio Schröder of Bremen resident Edmund Pavenstedt, owner of Haciendas Los Caños and Cambalache, notifying that any sale related to products or goods from these Haciendas made without his supervision or approval was unlawful. Under Pavenstedt management, by 1884 Los Caños had grown into a Central Sugar Mill. Upon his death, Los Caños was owned by the Sucn. E Pavenstedt and was managed by his son Edmund Wilhelm Emil Pavenstedt (1862-1945). Edmund Wilhelm was also born in Bremen where he received his formal education and served in the military. In the 1880s he worked as an apprentice at Geyer & Ungk in New York City, specializing in Tobacco. He came to Puerto Rico in 1885 to learn the sugar growing business at Los Caños but the following year accepted a position with Mosle Brothers, a sugar importing and banking firm in New York established in 1879 by German descendants from Bremen George Rudolf Mosle, Jr. and Arthur Henry Mosle whose father, George Rudolf Mosle had been a partner at E. Pavenstedt & Co. from 1859 to 1879. He was also a 10% partner at Muller, Schall & Co., a group of bankers from New York City that were the main investors in the South Porto Rico Sugar Company . In 1919 Los Caños was sold to Eduardo Georgetti , who was then owner of Central Plazuela . The mill did not own land and depended on independent land growers or "colonos". From 1884 to 7/30/1895 Carl Westphaling, also a German immigrant from Bremen, was bookkeeper, correspondent and cashier of Los Caños. Upon leaving his employment at Los Caños, Carl acquired the Hacienda San Gabriel from Felipe Correa and established Central Oriente , barely a mile or so north of Los Caños on the banks of the Santiago River. This old picture of Los Caños ca. 1884-1895 is made available thanks to the courtesy of Bernhardt Westphaling, grandson of Carl Westphaling. When we visited Los Caños there was a locked gate that prevented us to gain access to the remains. A neighbor gave us access to his property from where the ground level shots were taken. He mentioned of a good view from atop of a nearby mountain from where the other photos were taken. From these photos you can see the vast valley along the Atlantic Ocean coastline spanning from Arecibo to Toa Baja. There were seven sugar mills in this valley; Los Caños, Oriente , Carmen , Cambalache , Constancia , Monserrate and San Vicente . In one of the pictures, despite the Sahara Dessert dust in the air that day, you can see the smoke stacks of much larger Cambalache which was approximately two miles north. In an article on the December 21, 1938 edition of El Mundo Newspaper, the "Asociacion de Agricultores de PR" acknowledges and views as positive the sale of Central Los Caños to the Puerto Rico Reconstruction Administration (PRRA). Los Caños was sold by Georgetti to the PRRA who in turn sold it to a cooperative formed by sugar growers or colonos and laborers who continued to operate it until its closure in 1972 in a similar move to what happened at Central Lafayette . After its closure, Central Los Caños was dismantled and its machinery and equipment sold in Costa Rica where it was incorporated to the Guanacaste Province Federico Sobrado Cabrera sugar mill.